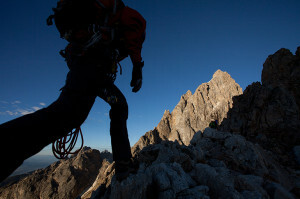 Exum can take you to the summit of any Teton peak. Pick your summit and an Exum Guide will take you there. Many of the peaks in the Tetons can be climbed in one long day or in two days. 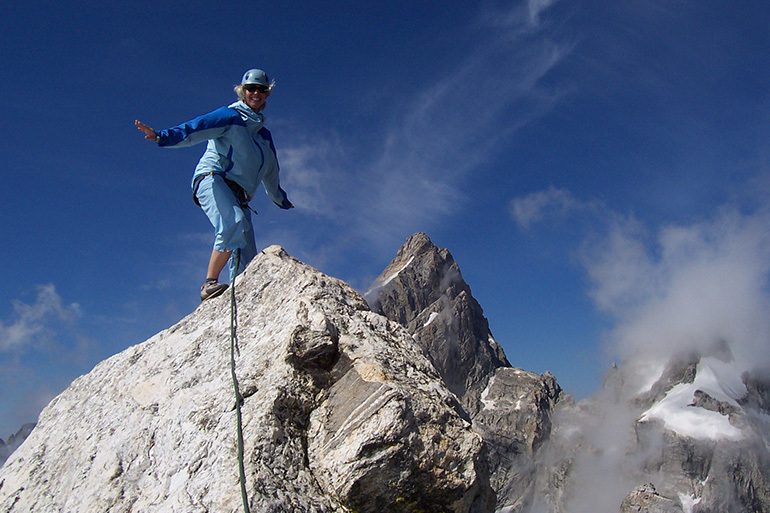 Many of our return clients take on the Seven Summits of the Tetons challenge. 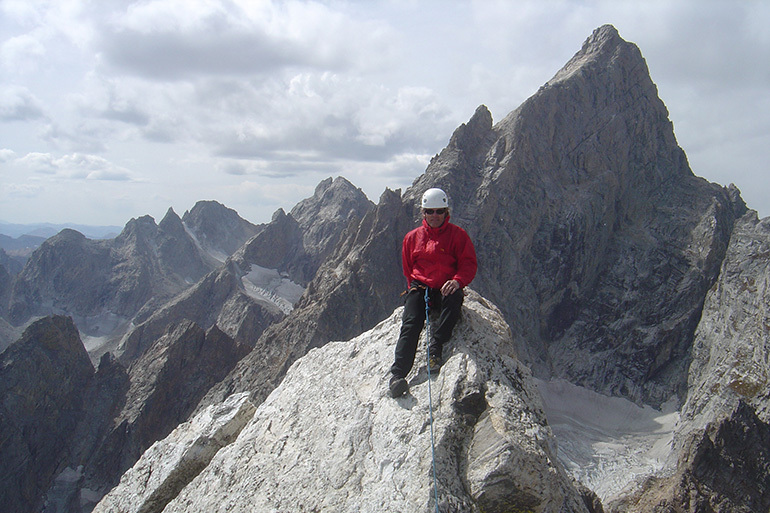 Exum’s Seven Summits of the Tetons program offers alpinists a variety of climbing challenges. Each of the Teton’s seven highest summits is unique and difficult in its own way. To climb any of them is an accomplishment. To climb them all is an accomplishment in the finest tradition of American alpinism. The peaks may be climbed by any route, and there is neither a specific order in which they must be climbed nor time constraints, so you can tackle this challenge over the course of seven weeks, seven years–or seven decades. Individuals who complete the Seven Summits of the Tetons program will receive a certificate celebrating the accomplishment. Please call our office to discuss your climbing plans and Teton summit options. 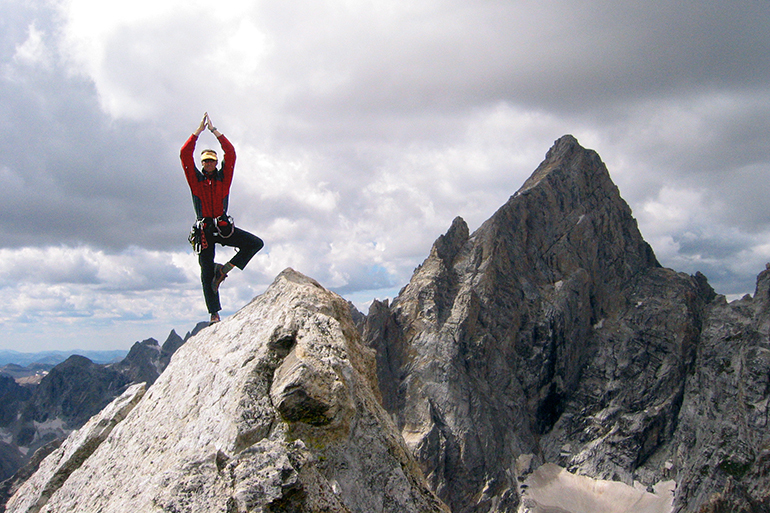 For those seeking the rewards of a Teton summit, without technical rock climbing. The Teton Range is renowned for incredible traverses.